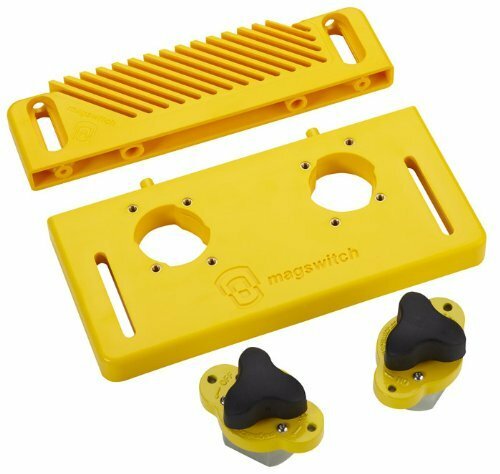 Magswitch Starter Kit w/ Universal Track 18"
Product prices and availability are accurate as of 2018-12-14 23:21:51 EST and are subject to change. Any price and availability information displayed on http://www.amazon.com/ at the time of purchase will apply to the purchase of this product. The Magswitch Starter Kit is an introductory system to safely and easily hold material you are working on while using a joiner, planer, shaper, table saw, band saw, spindle sander, drill press, and more. 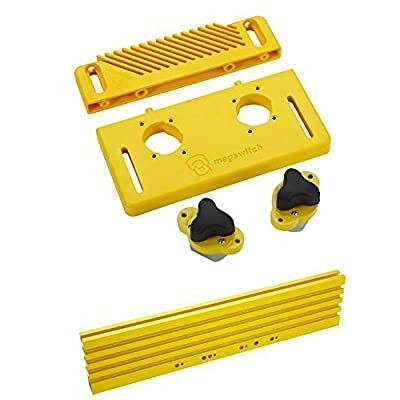 It comes with a reversible left/ right handed featherboard attachment, the Universal Mounting Base and two MagJig 150's. This system sets up fast, and can be set up anywhere on a steel table or cast Iron fence, and is not limited by the miter slot. Featherboard is reversible for left and right hand feeds.The low profile design means this system can be used on the smallest tables. This is a great way to increase efficiency and safety when using power tools. Exceptional support to make the most difficult and dangerous work, faster, safer, and easier.